I logged over 15,000 air miles in the past three weeks, my ports of call including Moscow, Kiev, Istanbul and London. I enjoyed opportunities to exchange views with informed leaders of government, business and think tanks. Changes — many repugnant to believe in — are proceeding rapidly in each country I visited. I choose to focus on changes in Turkey and Russia which are harmful to the national interests of the United States. Turkey presents the more immediate concern. Ataturk’s secular republic, established after the Ottoman collapse in World War 1, was long hailed as the enlightened model for Muslim countries. Turkey is pivotal because of its location as the boundary between Europe and the Middle East (remember, Napoleon said “Geography is destiny”), its large population, industrial capacity (15th largest economy in world) and formidable army (second largest in NATO). For more than a half-century after World War 2, Turkey anchored NATO’s front-line southeast flank against Soviet/Russian aggression and even (until 2004) against Saddam Hussein. Turkey evidenced democratic values in striking contrast to the Muslim despotisms in neighboring Iran, Iraq and Syria, the latter two countries sometimes abetting Kurdish terrorism against Turkey. That rosy view of Turkey has vanished. Turkey’s Prime Minister Erdogan and his AK Party are dismantling the foundations of the secular republic and pursuing Islamist domestic and foreign policies. This process is facilitated by the corrupt ineptitude of sclerotic secular political parties. It was also facilitated by oafish bungling of European Union officials. EU officials titillated Turkish desires for membership but were blindsided when Europeans predictably balked at making 72 million Turks citizens of Europe and extending borders of the EU (which aspires to be a United States of Europe) to the suburbs of Damascus and Baghdad. Europeans remembered what Napoleon had said. Turks, a justifiably proud people, resent Europe’s rebuff. Exacerbating their misjudgments, EU officials insisted that the powers of the Turkish army be curbed. This suited Erdogan because he knew that the army was the historic guardian of secularism. Aggravating the exacerbation, the Europeans insisted that Turkey empower its AK-dominated Parliament to assume powers of the courts to protect the secular republic. All this was coming to a head while I was in Istanbul. The Parliament was able to abolish some but not all judicial prerogatives. Other initiatives–including court-packing proposals reminiscent of Franklin Roosevelt’s which enflamed Americans in the 1930s–may be submitted to referenda in coming months. Turkish friends told me that–although it is a long shot–Erdogan’s remaining Islamist constitutional initiatives could yet be defeated by voters. In my conversations with U.S. officials, I have found dismaying unawareness of the consequences of the ugly reality that Turkey is now a functional ally of Iran and not of the United States. Our officials are hardly aware that-while Erdogan and Obama have fulsomely flattered each other-Erdogan uses his controlled media to incite populist hatred of the U.S. The Turkey-Brazil machinations confirmed the vacuity of Obama’s Iran policy. Perhaps our Government will begin to understand what Turkey has become. A Turkish deputy defense minister came to my farewell brunch on the Bosporus. Upon my return to the U.S., I was the dinner guest of Turkey’s Ambassador in Washington, a brilliant diplomat and friend of democracy. Both tried to convince me that Turkey aspires to lead the Islamic world in a moderate direction and to deny nuclear arms to neighboring Iran. To this point, they have not convinced me, but at least dialogue continues. The challenges to U.S. foreign policy I found in Moscow are more complex but less imminent. This may sound strange after all the years of the Cold War in which the USSR was Global Enemy Number 1. Smart Russians do not want to reignite even a Cold War with the U.S. Moscow was girding for its High Holiday period-from May Day to the 65th anniversary of V-E Day. On Moscow’s outskirts, I saw posters depicting the Hammer and Sickle as holiday symbols. These were banned from central Moscow, along with posters depicting Stalin. The Russian government wanted to make clear that heroism-and massive sacrifice-of the Russian people defeated Nazism and that Stalin, whatever his accomplishments, committed unpardonable crimes. I witnessed restrained but effective dispersal of pro-Stalin demonstrators. Well-connected Russians with whom I spoke regretted the dissolution of the Soviet Union and were opposed to assertions of U.S. military power in east Europe. But of more immediate concern were the problems of (1) Islamic terrorism (Russia’s Muslim population may be as high as 20%), as evidenced in recent subway bombings and (2) Chinese expansionism, particularly as threatening Russia’s vast Far East-three times the size of Europe-which has a shrinking population of 7.5 million while hundreds of millions of Chinese live just across the border. China’s economic engine is securing access to resources everywhere it can. Our hyped sanctions “deal” allows the Chinese exemption from energy sanctions on Iran (which, if implemented, would constitute real pressure on Tehran). Thus, Obama has achieved a double whammy in foisting “sanctions” that are guaranteed to fail while abetting China in its competition with out country and the rest of the world to near-monopolize global access to resources. Obama policies have encouraged Russians to believe we lack coherency. Obama caved in to Russian demands and reneged on a commitment to provide missile defense to the Czech Republic and Poland without getting anything in return, as acknowledged to me in a dinner meeting with David Sanger, chief diplomatic reporter for the N.Y. Times, a consistent flack for the President. 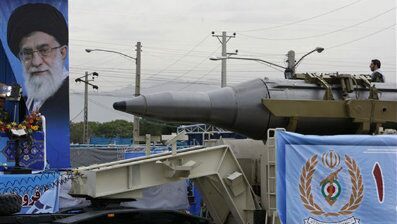 The Russians have played a clever cat-and-mouse game in fending off tough U.N. sanctions against Iran, but they have to this point practiced restraint in neither finishing the Busheir nuclear plant nor supplying Iran with the S-300 ground-to-air missiles. (though an egregious lacuna in the proposed START treaty allows them to do so, if they choose.) A Russian announcement of new arms supply to Syria gives reason for vigilance, but I would be surprised if the Russians try to undermine Israel’s security. Picking up some loose Arab money while annoying Washington is a familiar Moscow tactic. Obama’s obsession with nuclear disarmament (we have now idiotically proclaimed that we will not respond with nuclear weapons to a massive biological or chemical attack by a hostile country) has aided the Russians in allowing them to destroy obsolete weapons while we destroy deployable stock. The Strategic Arms Reduction Treaty which Obama and Russia’s president signed in Prague in April so grotesquely favors Russian and undermines U.S. interests that our Senate may refuse ratification. Peter Brookes, former deputy assistant Secretary of Defense, provided worrisome details in a May 14 N.Y. Post article, pointing out that “the Russians got a great deal” on the new treaty “at our expense.” Obama seems to believe that unilateral U.S. shedding of strategic weapons will incentivize Iran and North Korea to obey U.N. arms resolutions. Watch the Senate ratification hearings. And who knows what the Russians made of Joe Biden’s foolish remarks about diminished Russian power. In Kiev, I learned that the Russians have largely succeeded in forcing Ukraine-with its 60 million people and strategic location-back into relative servitude. Does Our Government Understand the Implications of a Turkish-Russian Strategic Partnership? Nature abhors a vacuum. Both Russia and Turkey perceive the naive vacuity of our foreign policy. They, along with the rest of the word, heard Obama recently say that we are a super-power, “whether we like it or not.” Thus, I was not surprised to read upon returning to the U.S. that Russian President Medvedev had made a state visit to Turkey’s Islamist President Gul. Medvedev proclaimed establishment of “a full -scale strategic partnership” which includes Russia’s building a nuclear power plant in Turkey as well as energy pipelines. This is hardly a new Warsaw Pact, nor an existential axis of evil. But neither can it be dismissed casually by incantations of “engagement” or defaulting, as the Europeans do, to soft power. A Russian-Turkish alliance stretching from the Baltic to the Black Sea presents a new set of problems for American diplomacy. A NATO member in “strategic partnership” with Russia is contrary to more than a half century of NATO doctrine. The problem is magnified when the NATO ally becomes an ally of Iran and holds joint military exercises with Syria. My soundings in Moscow suggest that the Russian government comprehends these changing dynamics and the advantages this gives to the Kremlin. I see no evidence that the same can be said of our government. Did Iran outmaneuver the Obama Regime? Did Iran outmaneuver the Obama administration? Iran backed the Obama administration into check in its ongoing nuclear chess match by announcing its own fuel swap deal after a Western-backed plan fell apart last fall. The country, trying to avoid sanctions after it rejected a deal with the U.S., Russia, France and the International Atomic Energy Agency in October, steered around the United States in brokering a swap with Turkey and Brazil. In a sense, Iran left the Obama administration an out by declaring it would continue producing 20 percent enrichment uranium even as it proposes shipping nuclear material to Turkey. To become official, the deal still has to be agreed to by the same group of nations that pursued the deal last fall — and White House Press Secretary Robert Gibbs said in a written statement that while the fuel swap would be a “positive step,” any move to continue enrichment internally would be a “direct violation” of Security Council resolutions. The UN’s Economic and Social Council has just elected Iran to a seat on the UN’s women’s rights commission. Wouldn’t it be easier to just ship the entire UN, lock, stock and seating arrangements, to Iran? …The ICC’s indictments have so far targeted nasty characters in Africa, but the court has always resisted outside oversight, especially from the U.S. What’s more, no amount of reform of the founding treaty will change the ICC’s inherent flaw. The ICC is a child of the doctrine of “universal jurisdiction,” which holds that courts can adjudicate crimes [by their definition] committed anywhere in the world. As various advocates of a 21st century constitution have urged, [the constitution should] be interpreted to allow the invention of a host of new “rights,” and thus be construed to guarantee social or economic equality. However pleasing this might sound to some people, there should be no mistake: adopting this interpretation will supplant representative decision-making with the decision-making of unelected, unaccountable, and life-tenured judges. Yesterday, State Department spokesman P.J. Crowley confirmed  Iranian President Mahmoud Ahmadinejad had submitted an application for a visa to attend the United Nations nuclear Non-Proliferation Treaty conference in New York next month. Since Crowley also confirmed that Ahmadinejad is likely to be awarded the visa, the Iranian President can now look forward to witnessing first hand the failure of President Barack Obama’s Iran policy. At first the White House believed that President Barack Obama’s sheer power of personality and persuasion would be enough to convince the Iranian regime to give up their nuclear program. So the President gave a conciliatory speech in Cairo , sent a direct message to Iran’s Supreme Leader Ayatollah Ali Khamenei , and opened up direct talks with the Iranian regime . The results have been crystal clear: the Iranian regime has only accelerated its nuclear program , accelerated its ballistic missile program, and further crushed internal dissent, all while the Obama administration remained silent  as the Green Revolution was brutally crushed . Now the Obama administration is seeking “crippling” sanctions on Iran through the U.N. Security Council. This is another Obama fantasy that plays right into Iran’s “cheat, retreat, and delay”  nuclear strategy. Whatever goodwill the Obama administration hoped to get from Russia by caving into their New START demands has not paid off . With help from Turkey , China and now Egypt , Iran’s rope-a-dope  U.N. diplomacy will render any U.N. sanctions regime completely toothless . 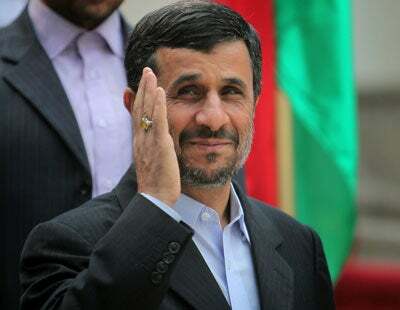 All these Ahmadinejad victories over President Obama would not be so alarming if the Obama administration were not actively undermining our nation’s ability to deter and defend against Iranian nuclear attack. First there was President Obama’s decision to cancel missile defense installations in Eastern Europe . The Obama administration claimed that their alternative system, called the Phased Adaptive Approach, could defend U.S. allies by 2020. But a recent Defense Intelligence Agency (DIA) report  warns Iran may be able to reach the United States with an intercontinental ballistic missile (ICBM) by 2015. This means President Obama has created a new “window of vulnerability”  for our enemies to exploit. “Bizarre and unsafe” is a generous assessment of the Obama administration’s efforts to protect America from Iran’s nuclear ambitions so far. The Obama administration must change course. The United States should impose and enforce the strongest possible sanctions , even if doing so requires action outside of the U.N. framework, and step up public diplomacy efforts to discredit the regime’s legitimacy and offer support to opposition groups, such as the Green Movement . Most importantly the Obama administration must make the commitment to create and sustain a layered missile defense system , designed to counter every range of Iranian missiles in all stages of flight, including those that threaten the territory of the United States and its allies. This would include scrapping New START, returning missile defense installations to Eastern Europe and fully funding missile defense. For more, see 33 Minutes . According to USA Today , starting in 2014 the Internal Revenue Service will become the chief enforcement agency for Obamacare. USA Today also reports that starting this summer Obamacare will trap about 200,000 Americans  in high cost insurance plans. A new Pew Poll  shows that 62% of Americans believe President Obama’s $862 billion economic stimulus has not helped the job situation. Business leaders and economists say  they have seen few results from President Obama ’s five-year plan  to double U.S. exports. Venezuela’s economy is set to contract by as much as 5% under Hugo Chavez’s 21st-century socialism  this year, while free-trad- embracing Chile is set to grow by 4%. Jimmy Carter didn’t want to be known as the Ayatollah Appeaser, but that’s how history has him chalked up. Bill Clinton played dumb about the 1994 World Trade Center bombing, actually blocking the flow of foreign intelligence between Justice and the CIA, and thereby enabled 9/11/01 — the second al-Qaeda attack on Manhattan in seven years. The liberal media are still in shrill denial of those facts, but history will not forget their failures. Historians will ask over and over why yet another feckless Democrat was elected in 2008. How could Americans be so blind to the circling jackals of this world? Now Obama seems intent on reversing the Cold War and letting nuclear proliferation explode. In Congress, the Democrats are committing mass suicide for him. FDR gave us the New Deal, and Obama is giving us the Raw Deal. But FDR presided over the bloodiest war for America since the Civil War. He didn’t want to be a war president, but when Pearl Harbor came, he did not deceive himself the way the Left has deceived itself since 9/11. Pearl Harbor was a plain act of war, and Americans in 1944 got that instantly. Four years later, Harry Truman didn’t plan to begin the Cold War against Communist aggression with a defensive war in Korea. But that’s how it turned out. “Events, my dear boy,” said Harold McMillan. Events decide how presidents will look to history. Obama is now set to be the biggest loser of the last sixty years — the man who let nuclear weapons explode out of control by fundamentally misunderstanding the nature of the threat. The implications for the future are unpredictable, but just as World War II was more consequential than the New Deal, there is nothing an American president can do that is more important that his national security actions. When — not if — nuclear proliferation runs out of control, it won’t look like the Cold War, when only two superpowers had usable missiles and weapons, and when, after Stalin died, both sides acted fairly rationally. Instead, Obama’s towering failure means a multi-polar race to get the baddest bombs, with the mullahs racing the Sunni Arabs and a very real chance that Hezb’allah or al-Qaeda will get enough material to build a dirty nuke. Only advanced missile defenses will save us, and if America doesn’t speed up our defense development, then the saner nations in the world will do it. They are not going to wait for us. When unstable tyrannies like Iran, North Korea, Libya, and even Venezuela have nukes, Obama’s self-glorifying ego trips will fade by comparison. The only question Americans will ask will be: How well did he protect his country? We forget that for the last ninety years, America’s military power has been kept at the razor’s edge — not because we somehow decided to conquer the world, but because we had to resist the imperialistic aggression of the Kaiser, Hitler, Stalin, Mao (by proxy in Korea and Vietnam), and the Soviet Empire. Liberals pretend that war is all the past, but history hasn’t ended. Today we see murderous tyrannies rising again, and Obama is too busy navel-gazing to see them for himself. Hugging Mugabe is more his style. So nobody is driving this train, and an abyss yawns just ahead of us. Jimmy Carter actively enabled the Islamofascist overthrow of the Shah of Persia, one of the great traditional imperial powers of the Middle East. Turkey, another great power for five centuries under the Ottomans, has now slipped back from a century of increased political tolerance toward radical Islam, and is now siding with Iran against Israel. Iraq, another imperial center that goes back six thousand years to Sumer, is torn between Sunnis and Shiites, which means Iran against the Arabs. The Saudis helped finance Pakistan’s nukes and missiles, and they can import them as soon as they give the signal. Arabia is the heartland of Islam, and Iran has had its eyes on Mecca and Medina since Khomeini. The end of war? Only in Liberal Land. Radical Muslims are ideologically resistant to the Enlightenment values of tolerance, science, free speech, elected governments, and free trade. They are not like India and Japan, which have adopted modernism at a very deep level in the last half century. But since Khomeini took over Iran, all the modernizing forces in Muslim lands have been forced backwards. Islamic radicalism was much less of a problem before that huge defeat for civilization. Jimmy Carter was therefore criminally naïve (and still is today), Clinton didn’t even try to face the facts of international life, and Obama is the worst of all. He is mentally stuck in third-world Leftism, and he has shown no capacity to learn. So much for “progressive” politics driving us back to the past. A small but ominous event happened two weeks ago at the “nuclear summit” of 45 nations, most of which have no nuclear capacity at all. At the summit, Obama publicly snubbed the president of Georgia. The American media were too dumb and ignorant to get it, but Putin and Eastern Europe took notice, all right. Georgia was, after all, the first country to be invaded by Russian tanks since Afghanistan, Hungary, Czechoslovakia, and East Germany. Two years ago, Putin stole the province of Abkhazia from Georgia, and today they are committing ethnic cleansing there. For Obama to snub Georgia’s president at a big international powwow sends the clearest possible signal to Czar Putin: Go ahead — we won’t stop you. That’s why the Russian Bear is snarling again in the Ukraine, Poland, Syria, (where it is building deep water ports), Iran (where it just declared its intention to complete the Bushehr nuke reactor), and anywhere else it sees easy prey. Predators act like predators. It’s not a surprise to saner folks. The astonishing thing about Obama is that he actually signals American weakness deliberately; he is the anti-Reagan to the ultimate. Only the American people are kept in the dark. A week after Obama’s snub of Georgia, a Russian-maintained, Russian-manufactured airplane carrying Poland’s president Lech Kaszinksy, its army chief, its central banker, and 94 other leaders died in a suspicious crash at Smolensk. We don’t know if Putin sabotaged the plane — easy enough to do — but we know that he regularly assassinates his opponents, domestic and foreign. Putin poisoned the president of the Ukraine with dioxin and killed a former KGB spy in London with radioactive Polonium. Is there a link between the death of Poland’s political leadership and Obama’s signals of weakness? Well, the timing was perfect. It also happened to be the anniversary of Stalin’s massacre of Polish officers in Katyn forest. Coincidence? Nobody who knows that history will believe that. Obama has now publicly humiliated the Prime Minister of Israel, the PM of Britain, the Queen of England, the Czechs, the Poles, and the Japanese. He has bowed ostentatiously to the Saudi king, the former god-emperor of Japan, and the president of China. Those are not slips of diplomatic etiquette. They aren’t even eccentricities for this ultimately weird president. They are deliberate signals to the world, and our enemies know exactly what they mean. The United States has plainly failed to stop North Korean and Iranian nukes. Saudi Arabia just announced plans to build a nuclear plant. North Korea just blew up a South Korean warship. All the little mad tyrannies around the world see nuclear weapons as their key to survival and power forever. Nuclear breakout can’t be far away. With the economy in the tank, unemployment hovering at ten percent and over four million jobs lost since he was elected, one would think President Obama would have more important things to talk about than what his opposition says or does on a daily basis. In fact, most former presidents would rather focus on their job than be distracted by a daily war of words with their opposition. In an effort to stay above the fray and maintain their “presidential” status,” former presidents usually let their surrogates do political hand-to-hand combat. But not President Obama. He could care less that his provocative statements might show him as unfocused or even un-presidential. In fact, the President’s provocative statements are a calculated political strategy intended to divert attention from his socialist agenda. President Obama’s is just following Saul Alinsky’s methods from his book, “Rules For Radicals,” to change America into a socialist European-style socialist nation. Excerpts from Alinsky’s book help illuminate, in part, President Obama’s propensity for making frequent provocative statements: “Ridicule is man’s most potent weapon. It is almost impossible to counterattack ridicule. Also, it infuriates the opposition, who then react to your advantage. Pick the target, freeze it, personalize it, and polarize it.” These rules have worked for President Obama his entire political and community organizing career, and continue to work to advance his socialist agenda today. Following the President’s lead, the liberal media will reinforce and defend any and all of his provocative statements. Once the opposition is identified, they will be branded as dangerous right-wing radicals and railed against, on a daily basis, by the liberal media until they are marginalized. This scenario has been playing out since before President Obama was elected, and will continue throughout his tenure in office. Unless the Republicans can take back the House and Senate this November, President Obama, with the help of his willing accomplices in the liberal media, will lead America slowly and methodically into socialism. Like a frog in a pot of cold water, gradual warming will result in the frog being boiled without making any effort to escape. Feel free, fellow Americans – while you still are – to investigate the facts regarding President Obama’s radical strategies and socialist agenda. Exposing President Obama’s socialist agenda, and getting enough people to declare their independence from it, may be the only way to keep America’s melting pot from boiling. Neil Braithwaite writes political commentary and satire and is a regular contributor to PoliticalDerby.com.